Mayhem and madness over at the Alice and Olivia sample sale. It takes a lot to shake me but after a few hours at Alice and Olivia I couldn't take it anymore. It was insane. I got there bright and early for the VIP press preview at 8:05 am - and I was 5 minutes too late. A bunch of reseller girls hoarded all the really good dress samples and more importantly the $2000 beaded leather jackets that were just $99. I still have a headache. I did manage to grab a couple of not as exciting leather jackets but that was all. Unfortunately, Alice and Olivia just doesn't cut for my shape. All samples are size 6 but nothing looked amazing on me. I must have tried on 50+ dresses and nada. And I broke my earrings in the process :( Throngs of girls attacked every sales person who came out to fill in the samples that were being replenished all morning. 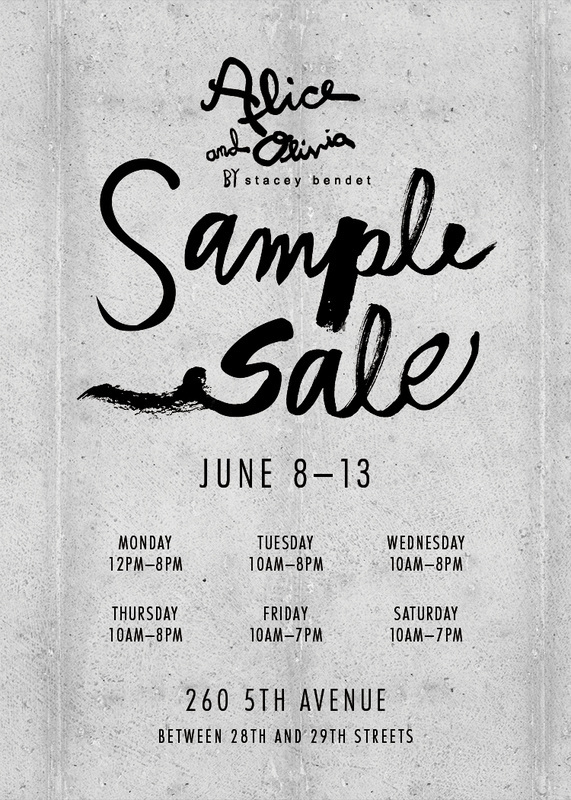 A little birdy told me there could be more samples tomorrow but mostly the $29-$59 pieces. All the higher pricepoints ($119/$99) were put out. Here are my leather jackets - I still have to google them and look up their retail prices. And most importantly, here is the sample price list. The great thing about this sale is that samples were clearly priced on each ticket. Your best bests are the dresses for $59-119 and leather jackets for $99. I saw a few cute embellished tops but they were $99 too and not worth it IMO. For those of you who are interested in stock pricing, here is the price list. It's all arranged by size and things were going fast. By the time I left at about noon all the full price beaded leather jackets ($299) were gone too. I wish they had the sample for this skirt. They had a few accessories but no must haves. Prices started at $8 for the key chains and up to $109 for the totes. They also had a handful of kids pieces. I did spy a little girls beaded dress with the samples but it was also $99. On my way out I noticed a crazy line down the block. This sale is not for the weak hearted - lines inside and out, and the tiny dressing room had everyone packed in like overheated sardines. My advice is get there early tomorrow or just wait for markdowns later in the week. Good luck! Earrings: Gerard Yosca, sample sale, $10? Cuff: AV Maxx NYC, sample sale, $10. Shoes: Crocs Sexi Flips, $15. I need to get a few new pairs - so comfortable! That's all. As always, happy shopping!